On November 3, 2012, Pennsylvania Women Work, with Pittsburgh Filmmakers, hosted Jennifer's McShane's moving documentary, Mothers of Bedford, which chronicles the experiences of five women serving time in prison and maintaining relationships with their children. The event was so popular that we hosted a second screening, which included a brown bag lunch, of the film at our office. 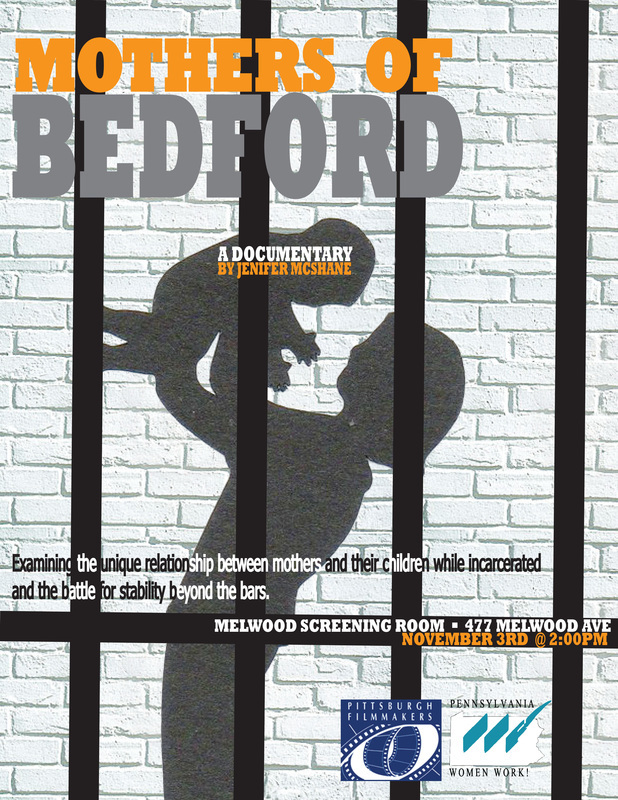 To learn more about Mothers of Bedford and the benefits for both women and children when they can remain in contact throughout the mother's prison sentence, visit the film's website. 80 percent of women in prison are the mothers of school-age children. Frequent visits between incarcerated mothers and their children have been shown to have a positive impact on the children's-well being. Incarcerated individuals who maintain relationships with their children while in prison are less likely to experience recidivism. Incarcerated individuals who maintain relationships with their children while in prison are also more likely to successfully reintegrate into society.